For buildings in the transportation, public facilities, and education departments, Alaska has adopted ASHRAE 90.1-2010 without modification for commercial buildings. All other commercial buildings are not covered by a mandatory code. However, it is not a statewide code. 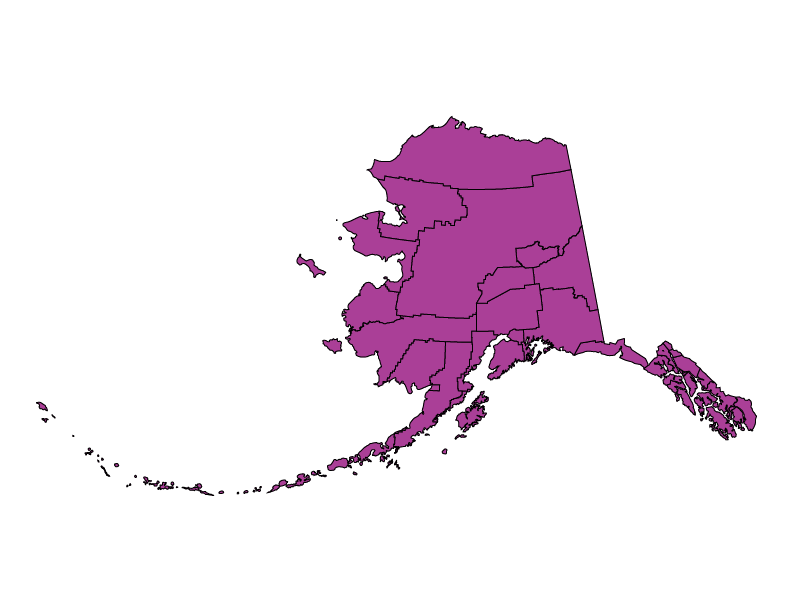 Local jurisdictions may adopt more stringent codes, as there is no “true” statewide energy code in Alaska. Based on the 2012 IECC, ASHRAE 62.2 2010, and state-specific amendments to both. A minimum energy rating of 5 Star is required. BEES was established to promote the construction of energy efficient buildings. It sets building energy use standards for thermal resistance, air leakage, moisture protection and ventilation. However, it is not a statewide code. All new residential homes and community-owned buildings which began construction on or after January 1, 1992 must comply with BEES if the Alaska Housing Finance Corporation or other state financial assistance is to be used in construction or the purchase of a loan. The standard applies to all residential and public facility improvements or construction that were constructed on or after March 9, 2011 (AHFC considers construction to have begun if the pilings, footings, or foundation has been started) and funded wholly or in part by AHFC programs or other state funds. Some estimates put the share of residential construction required to comply with the Alaska BEES to be between 30% and 40%. This Standard shall not be used to abridge any structural, safety, fire, health, or environmental requirements of locally adopted codes, federal standards, or current editions of the International or Uniform Building, Mechanical, Plumbing and Fire Codes as adopted by the International Conference of Building Officials (ICBO) and the National Electrical Code as adopted by the National Fire Protection Association. In case of conflict between this Standard and any of the above codes or standards, the most stringent shall apply. This Standard is intended to supplement these codes. REScheck and COMcheck are not applicable. Thermal compliance with BEES is most often shown using AkWarm software; official ratings are only available through an AHFC approved Energy Rater. Alaska publishes a FY13 Progress Report detailing the progress of the state’s Department of Transportation and Public Facilities in reducing the state’s energy consumption. The 2013 edition of BEES becomes effective. The 2011 edition of BEES becomes effective. Projects covered by this code must comply with the 2009 IECC, ASHRAE Standard 62.2-2010; and Alaska Amendments to IECC 2009 and ASHRAE Standard 62.2-2010. Senate Bill 220 is introduced in the Alaska State Legislature as the Alaska Sustainable Energy Act, which intends to achieve a 10 percent increase in energy efficiency on a per capita basis by 2015 and a 15 percent increase in energy efficiency by 2020. The legislation declares the state’s energy policy to include statewide energy codes for public buildings and assistance for local communities interested in implementing residential and commercial energy codes. Among the provisions of the bill, the Alaska Housing Finance Corporation (AHFC) is charged with administering an energy efficiency grant fund to incentivize new or retrofitted public buildings to comply with the latest version of ASHRAE Standard 90.1 or achieve LEED certification. The bill also establishes an energy use index database for public buildings and requires energy audits at least once every seven years. SB 220 is signed into law during the summer of 2010. During a special session, the Alaska Legislature votes to override former Gov. Sarah Palin’s veto of roughly $28 million in federal stimulus funds intended for energy projects. A three-fourths majority in each chamber is needed to override the veto. The House votes 30-9 to accept the stimulus funds, while the Senate votes 15-5. It is thought that the additional funds may smooth the passage of a bill (SB 167) to adopt the 2009 IECC that stalled this year, but which state legislators have already planned to reintroduce when the legislature reconvenes in January 2010 (the state currently observes a strictly residential energy code based on the 2006 IECC). The 2007 edition of BEES, based on the 2006 IECC, ASHRAE 62.2-2004, and state-specific amendments, becomes effective. Alaska-specific amendments to the 2006 IECC and ASHRAE Standard 62.2-2004 are adopted by reference in 15 AAC 155.010. The first printing of the Alaska BEES goes into effect after its first printing in September 1991. Although there have been no technical changes to the Standard since that time, a number of editorial corrections and updates to the original printing have occurred. Formerly, these corrections and updates were listed on a separate errata sheet in the BEES.